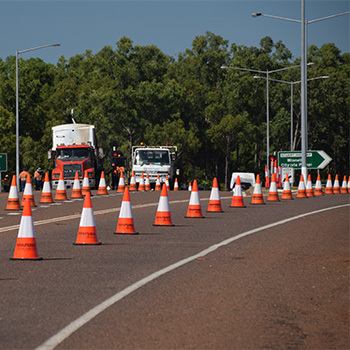 Arafura Traffic Control offers a complete range of Traffic Management Services available across the Northern Territory. Whether you need traffic controllers, a Traffic Management Plan (TMP), Traffic Control Diagrams (TCDs), permits, devices and equipment, line marking, roadside furniture, or even just some safety advice, we are happy to help! With our variety of experienced and professional staff available 24/7, we offer personalized and prompt service around the clock! Chris Pettit has had his best foot forward since being named Traffic Controller of the year 2018. He has been working diligently to honour this year’s award and is very excited to show the country he’s earned it. 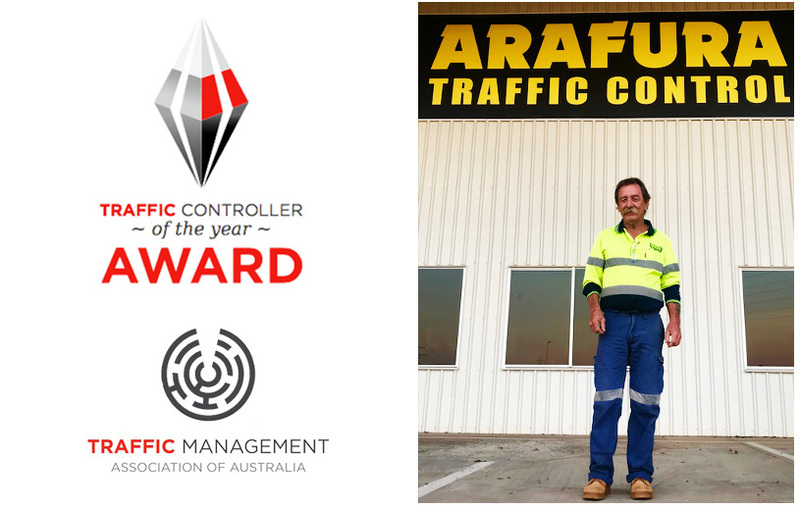 Recently, he’s been working around the clock to keep the city of Darwin safe during a number of on-going projects which Arafura Traffic Control has taken on. He’s even been working into the night to get the work done for Arafura’s Line Marking team who are currently working on a number of large projects across Darwin. 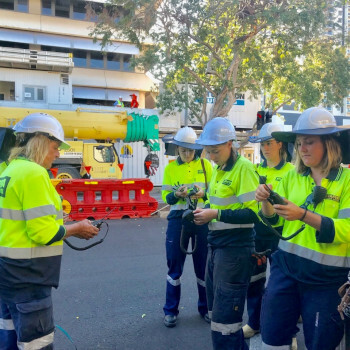 During the day, Chris is busy driving around to every Arafura site in the city and making sure work is up to standard. As a supervisor, Chris makes an excellent leader. Whether it’s as a helping hand on a lane closure, or a re-vamp of an entire site, Chris’s WZ1 Certification is being put to good use. Chris has been throwing his wand into the ring for various nightshift projects and public events. He’s helped out with weekend events including a bike marathon and an in-house training course hosted by Arafura. It takes a lot to commit your evenings and weekends to your work, and it’s this kind of dedication that is so highly respected in the industry. It’s this dedication that got him up on that stage at the TMAA Conference 2018. With eyes on the horizon, Chris is looking forward to all the public events that come with the NT’s dry season. As in previous years, Chris hopes to be back on traffic control duty for all the big events. One thing Chris always mentions when it comes to working events is how much he appreciates seeing the crowds of people all enjoying themselves. Safety is at the core of the way we do our business. We provide the highest quality equipment as well as staff which are fully trained in safe work practices. For all of your traffic management related services we are able to help. We can design plans, get permits, conduct traffic control, and complete your project with line marking and installing any permanent signage and furniture. Our innovative staff personalise our services to each specific project which ensures that costsare kept to a minimum while maintaining the highest of safety standards. 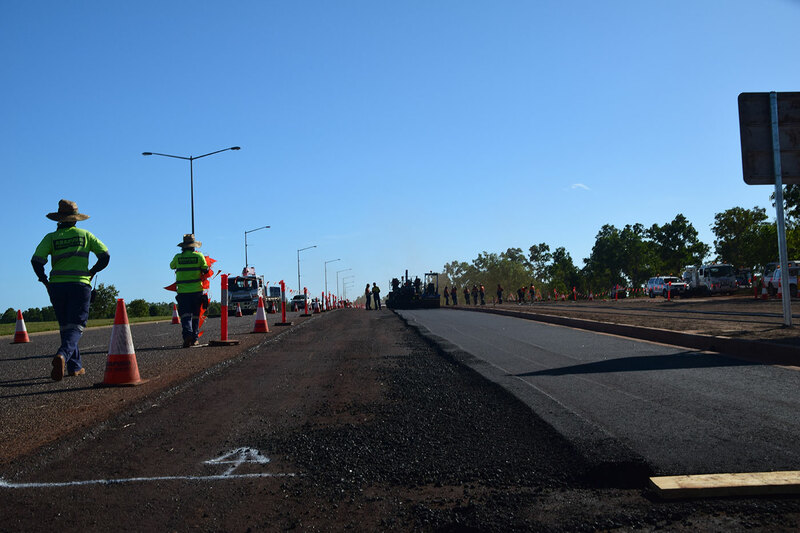 Exceptional Quality Traffic Management Services in the NT. We are confident in ability to provide you with the highest quality of service at a great value. Contact us today to speak with one of our professional team members! We can help determine which type of traffic management you may need and provide a free quote! 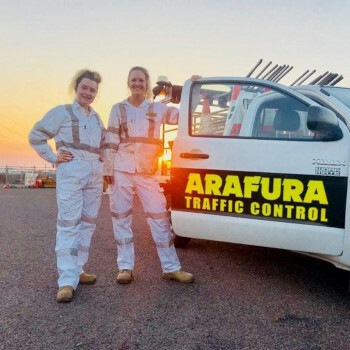 Founded in Darwin in the Northern Territory, Arafura Traffic Control has grown from a one ute operation to one of the NT’s premium traffic management and control providers. We have our head office in Darwin with a subsidiary office in Alice Springs with the capability to serve in all regions in the NT.